It’s been 3 years since Perfume’s last studio album LEVEL3 – a time that’s seen J-Pop continually evolving while more and more acts enter an increasingly busy scene. Perfume have enjoyed something of a special status amongst pop acts in Japan – and also managed to be one of the initial acts to effect a global presence. 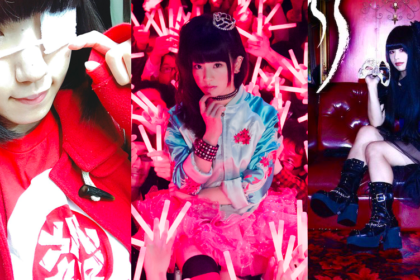 But precisely where they now line up amongst the J-Pop hierarchy is perhaps trickier to ascertain than it was a few years ago. 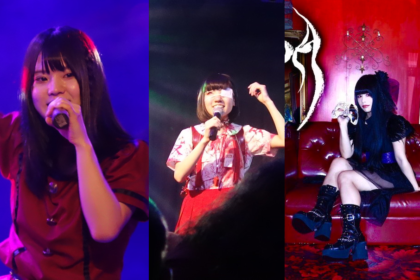 This is particularly relevant in a time when BABYMETAL have stolen the limelight from nearly every other Japanese outfit seeking to have an impact outside of their native country. The long process of getting to the point of releasing this latest Perfume album can be typified by the fact that ‘Sweet Refrain’, the first post-LEVEL3 single, was released back in 2013. It was serviceable pop fare, although well below the standards of what Perfume were capable of delivering. Subsequent releases appeared to show that writer/producer Yasutaka Nakata was playing it safe with his protégés (and arguably saving the best tunes for Capsule if the last album is anything to go by…). 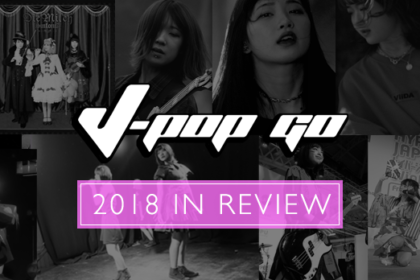 It’s an issue that J-Pop Go has addressed in the past. On that basis, you could be forgiven for having concerns that COSMIC EXPLORER would deliver both as a Perfume album – and also as a standard for contemporary J-Pop. 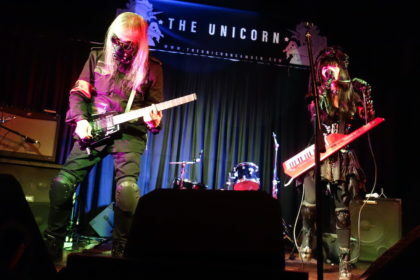 Any worries should be quickly dismissed however as COSMIC EXPLORER reveals the technopop outfit as being on top of their game. Faced with such disparate material culled from singles such as ‘Sweet Refrain’ and ‘Cling Cling’, it must have presented the mother of all challenges for Nakata to shape these tracks into a cohesive whole. But somehow, the pop talent has managed to work his magic to deliver a truly exciting album bursting with melodies and a confident in-your-face production. Interestingly, Perfume’s previous reliance on treated vocals is scaled back here allowing a-chan, NOCCHi and KASHIYUKA’s natural vocal talents to shine through. Opening in typical Perfume style with a brief interlude of sorts, the electronic reverie of ‘Navigate’ gives way to the album’s title track (also apparently the last track recorded for the album) – a big and bold widescreen slice of technopop that clocks in at over 5 minutes in length, yet never outstays its welcome. ‘Miracle Worker’ is no slouch either with an urgent electronic appeal balanced out with a yearning vocal delivery. It’s a solid delivery of clipped beats and confident melodies. 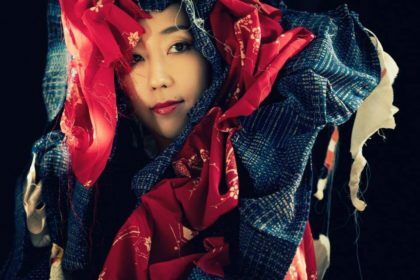 The unabashed electropop goodness of ‘Next Stage With You’ follows up with a more mid-tempo number which employs some of the dubsteppy strokes that Nakata has played with previously. Continuing the trend of slipping in a club-friendly tune into the mix, ‘Story’ opens up with a jarring industrial slice of musique concrete before opening up into a brash EDM number that kicks LEVEL3’s ‘Party Maker’ to the kerb. ‘Flash’ perhaps shows one of the best examples of just how much work Nakata has put into COSMIC EXPLORER. In order to make the album work, much of the previously released material was reworked and remixed, breathing fresh life into the previously pedestrian pop that passed for the single releases (in other words, the opposite in some respects of what occurred with the album mixes on LEVEL3). As a result, ‘Flash’ (which incidentally also featured in the live action adaptation of anime Chihayafuru) has a much more engaging immediacy about it. Meanwhile, ‘Sweet Refrain’ has been crafted into a much more muscular number with crunchy synth rhythms giving the song a solid foundation. The album steps down a gear for the more simple arrangements of ‘Baby Face’. It’s very much as untypical a Perfume song as you can imagine, but its intriguing use of different percussive effects and restrained electronic tones lend it a charm all its own. ‘Tokimeki Lights’, originally a B-side track, is another song that benefits from being reworked. 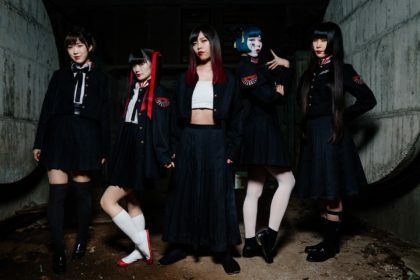 A burbling insistent synth drives the track along while the vocal delivery from Team Perfume offers an evocative element to the composition. Meanwhile, ‘Star Train’ had originally been composed as a reflective song designed to slot into Perfume’s 2015 documentary WE ARE Perfume -WORLD TOUR 3rd DOCUMENT. As a standalone track it was another gear change for Perfume which drew some criticism, but in the context of its use as a summing up of Perfume’s career, the more downbeat approach seemed relevant. The remixed version on COSMIC EXPLORER somehow keeps those reflective elements in place, but also cunningly manages to craft a euphoric singalong banger into the bargain. Equally, as with ‘Sweet Refrain’, Nakata has managed to even make ‘Relax In The City’ sound much more dynamic and engaging. Arguably, the best Perfume song to emerge in 2015 was ‘Pick Me Up’ with its infectious melody and driving percussion. Listening to the track in the context of COSMIC EXPLORER suggests that perhaps this track alone served in some fashion as the template for the remixes – and also for the sound of COSMIC EXPLORER as a whole. It’s the same magic that whips ‘Cling Cling’ into a much more subtle concoction of electronic beats and rhythms than in its original form (which wasn’t too shabby to begin with). Even ‘Hold Your Hand’, which was a pleasant but disposable pop tune, manages to sound more dynamic and engaging as the album closer. COSMIC EXPLORER manages to eclipse its predecessor LEVEL3 with ease. Here, Perfume are playing to their strengths, while not being afraid to mix up their musical palette. At the same time, the trio retain the electropop elements that make Perfume so special. In the ever-changing turbulent world of J-Pop, it’s nice to see our favourite technopop trio managing to keep up with the pack.